kingsnake.com photo gallery > Insects > Does anyone know what this is? Description: My husband came across this insect while he was in Ecuador. I haven't been able to find anything about it on the internet. I can't figure out how to even classify it since it doesn't 'look' like anything I've seen before. Thanks to anyone that can help. 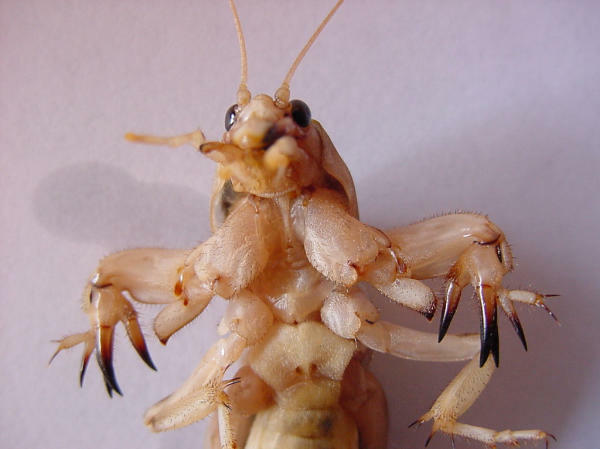 Looks like a mole cricket to me.